Contact us here if you are a nursery, preschool, childminder, nanny or babysitter and would like to be included in this listing. Choosing someone to look after your child is never easy, but in the Harrogate area there are a variety of different options to choose from. These are OFSTED registered privately run nurseries which usually offer a variety of different sessions. Usually they are open from 8am to 6pm although some may do extended hours, and are open throughout the year other than public holidays. Pre-school playgroups usually offer sessional care for children from the age of 2 to 5. They often work only in term-time, and in most cases offer funded provision for 3 and 4 year olds. They will be OFSTED registered and you can usual pay for top up sessions if you need more than the funded sessions. These are often but not always attached to a pre-school although attendance does not guarantee a place at the primary school. These are OFSTED regulated childcare professionals who look after children in their own home. They are usually flexible and may be able to offer school drop offs and pick ups. Hours will vary however most will do at least 8.30am-5.30pm. These carers are not necessarily OFSTED registered and would look after your children in your own home. Prices and experience varies greatly so do your research and get recommendations. I’m an accredited leading child minder, early years teacher and mummy to 3 wonderful little people. I run a Child Minding service called Bright Beginnings in the Harlow Hill area of Harrogate. I work primarily with children from the term they turn 2 up until starting school, in my home. Our house is fully equipped, very child friendly and welcoming. 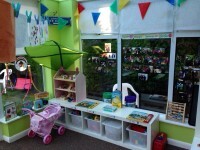 We have a separate learning room and fully enclosed garden. All rooms in our home have been Ofsted approved for child minding as I firmly believe that children should feel part of our family and therefore have full access within the house. I offer lots of fun and educational activities both indoors and outside of them as well as trips out. As im a qualified teacher I am able to begin teaching phonics and reading for those children who we (both their parents and I) feel are ready for this next step and show an interest in these areas. I am fully insured, DBS checked, Ofsted registered, paediatric first aid trained and able to take payment in child care vouchers. 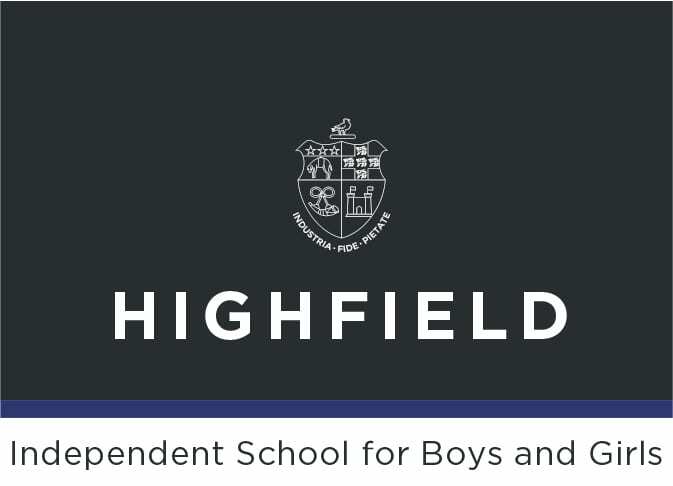 OFSTED – I was inspected by Ofsted in July and am delighted to share that I was graded outstanding in all areas and overall. I am an OFSTED registered Childminder in Harrogate. We live just off Cold Bath Road, very close to Valley Gardens. Lovely child friendly, open-plan downstairs with playroom, and access to safe, enclosed garden. I am a mum of 3 (aged 15 mths to 11). I provide care for children of all ages…. in a safe, welcoming and stimulating home environment. Fully insured, Enhanced DBS, Paediatric First Aid trained, Safeguarding training, Level 2 food safety and Home-based childcare diploma. Fully conversant with EYFS, a wide range of toys, activities and experiences. Lots of outdoor play, outings, walks to the park, playground, Valley Gardens, Harlow Carr, Library, Toddler groups and more! We love to have fun, discover, learn and be on the go! I can provide full and part-time places, before and after school and holiday club. I drop and collect at WESTERN PRIMARY SCHOOL. Mon – Fri 7.30am – 6.00pm. I am an Ofsted registered childminder in Starbeck, opposite Hookstone chase primary school. I am level 3 trained NNEB Nursery nurse with 1st aid paediatric level 3 certificate and all relevant safeguarding training. I have 25 years experience as a childcare provider and rated good at my Ofsted inspection. Please call 07411215043 for more information. I’m an Ofsted registered childminder graded ‘OUTSTANDING’. Eligible to offer 2.3 and 4 yr funding . 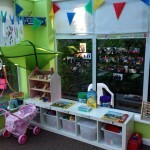 Ofsted registered childminder based in bilton, Harrogate. I offer term time only childcare for children from 3 months – 5 years old. I collect from bilton grange school and offer before after school care. I go a to forest school weekly and also attend music groups and do regular days out in all weathers. I have a secure garden with lots of toys and equipment for all ages. I have over 15 years experience working with children. I have 3 children of my own, all girls, I love being around children,and teaching them new things. I have a large secure garden with plenty of outdoor toys, plus a large array of indoor toys to play with in a warm welcoming family home. we go to many groups throughout the week as well as walks taking in the big wide world. I am based knaresborough road area by benfield ford car garage and available for school or nursery collection/drop off from Willow Tree Primary as my 2 youngest go there.